You make grass grow for cattle and make vegetables for humans to use in order to get food from the ground. The cows from the farm behind my house were on the move late yesterday afternoon. They were walking slowly, yet with determination, to the land closer to me. The grass they needed was plentiful. God provides even for the cattle. Will He not also provide for you and me? 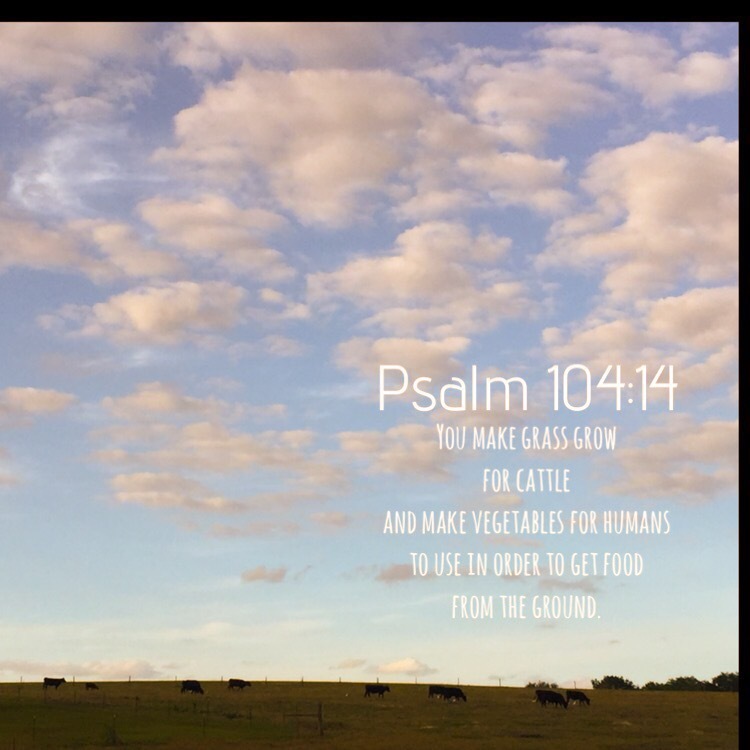 This entry was posted in Bible verses on photos, Inspirational photography and tagged cattle, cows, provision.